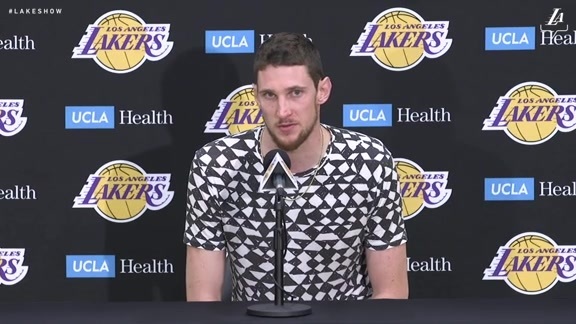 EL SEGUNDO – The Los Angeles Lakers have acquired Mike Muscala from the Clippers in exchange for Michael Beasley and Ivica Zubac, it was announced today. Muscala has appeared in 47 games (six starts) for Philadelphia this season, averaging 7.4 points, 4.3 rebounds and 1.3 assists in 22.1 minutes. The 6-foot-11 forward/center owns career averages of 5.7 points (.470 FG%, .365 3FG%) and 3.3 rebounds in 290 games (24 starts) for the Hawks and 76ers. Beasley played in 26 games for the Lakers, averaging 7.0 points, 2.3 rebounds and 1.0 assists, while Zubac notched 8.5 points, 4.9 rebounds and 15.6 minutes in 33 games this season.